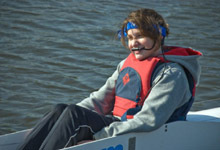 Rowing is a unique sport in that there are large number of competitions available for all ages and ability. At WRC we have a structured squad system aimed at developing individuals to compete at the highest level. 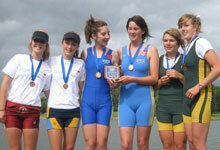 Juniors (under 18's) develop through a squad system based on ability - these are Beginner, Intermediate, Race and Elite. The Race and Elite squads train 4 times per week. Seniors are split into men's and women's squads and train 4 times a week. 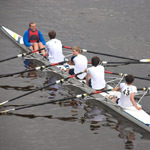 Recreational rowing is aimed at people who wish to take part in the sport as a means of keeping fit rather than for competitive racing. We run sessions on Saturdays at 10:30 & 1.00pm and Sundays at 10.30am plus Wednesdays at 6.30pm through Spring / Summer. 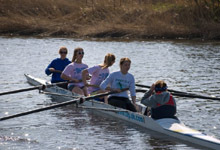 As with rowing at Warrington there are several avenues to take if you want to be a cox, choosing to take control of competive crews, coach new starters or join in with the recreational rowing sessions. No experience necessary - we provide all the training. 1b. How much and how often?